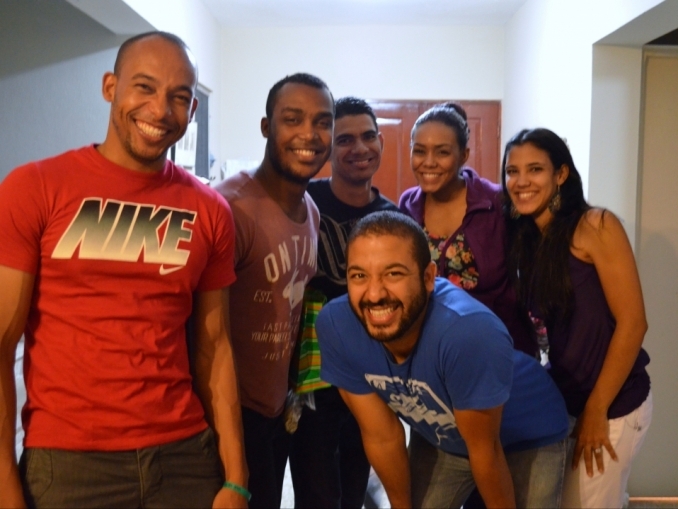 National Teen Ministries (NTM) (aka Ministerio de Adolescentes) was launched in 2002 with the following vision: that every local church would develop strategic teen ministry in order to win every Dominican teenager for Christ, help them to grow in the faith, and send them out to reach others for Christ. NTM focuses on 3 priorities in order to accomplish the vision. Our 3 priorities are: 1) Training leaders, 2) Motivating students to action, and 3) Modeling healthy team ministry. In our first 2 years, we have been able to train over 325 volunteers leaders in purpose driven teen ministry for the local church, have seen over 40 churches begin strategic teen ministry, and have over 350 students contracted as missionaries to their public school campuses. The NTM team hosts leadership training sessions on a national, sectional and local church level throughout the year. We also host summer camps each year, youth conferences in the spring, and campus missionary training and strategizing workshops in the fall. In our vision of helping local churches launch teen ministry, we are helping them to being ministries focused on the five main purposes that God has designed for the church: evangelism, worship, discipleship, fellowship, and service. For more details about the various aspects of National Teen Ministries, check out the other links under the ministries page on our website.